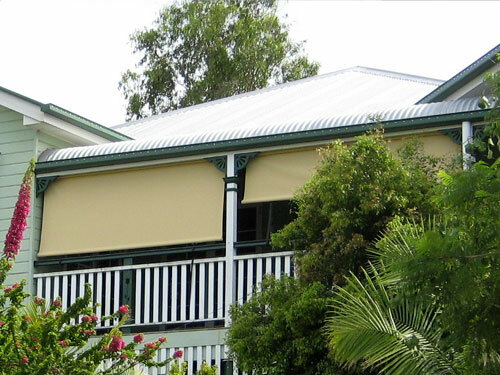 If you have invested in stylish exterior canvas awnings, like the ones available at Hunter Canvas, you want to make sure to preserve its beauty and extend its lifespan. As you may have already deduced, poorly maintaining exterior canvas awnings can not only mean not getting your money’s worth, it can also cast a negative light to your business. With this in mind, it is important to learn the proper care and maintenance of exterior canvas awnings. A lot of people seem to have a misguided notion that they can just rely on rain to clean the canvas. After all, a heavy downpour makes an effective cleaning agent to remove dirt and built up debris, right? Wrong. We need to keep in mind that raindrops come in contact with various elements in the atmosphere, such as nitrogen. If you allow rain to settle on the canvas material, it can cause premature fading and degradation. So, during days of frequent rain, it is a good idea to regularly clean your canvas awnings to avoid damage. Never use a pressure washer to clean your canvas awnings. While canvas materials are sturdy enough to withstand strong winds or heavy downpour, it is best to avoid making intentional and direct force. The pressure washer’s force can damage the frames as well as cause holes and rips in the material. Practice the right cleaning method to ensure longevity of your exterior canvas awnings. Start by using a broom to gently remove any accumulated dirt and dust. Then use a standard water hose to saturate the entire canvas material. With a soft bristle broom or brush, use a mild cleaning agent to wash away dirt. As much as possible, avoid using harsh chemical cleaners. Experts at Hunter Canvas recommend the use of a dishwashing liquid or laundry detergent. Allow the cleaning solution to soak on and leave it for a few minutes before washing it off.